The name for amaranth comes from the Greek amarantos, Amaranth is an old cultivated crop originating on American continent. 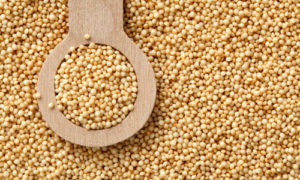 The Aztecs, Incas and Mayas considered amaranth as their staple food together with maize and beans. Amaranth was first introduced as an ornamental plant in Europe in the 16th century. 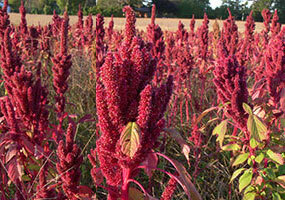 Different species of amaranth spread throughout the world during 17th, 18th and 19th century. In India, China and under the harsh conditions of Himalayas this plant became important grain.